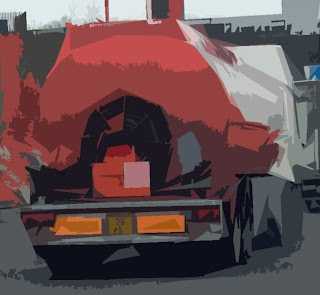 Another collection of interesting coloured tankers. We went out the other day and I had forgotten my camera. You should have seen the strange monsters that 'got away'! Ah. The 'Scarlet' Tanker. How I love scarlet! 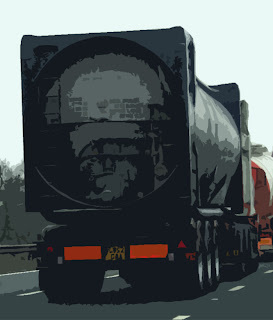 This black tanker is the only one I have seen with a square casing around it. More research needed here. 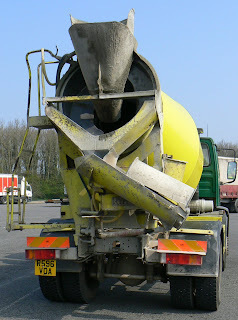 I think this is a milk tanker. 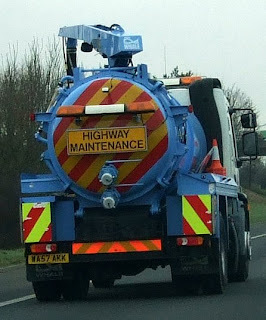 I was delighted with this blue Highways tanker. 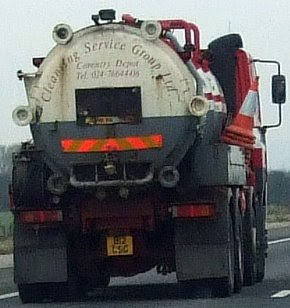 And this cleaning lorry, a circle with circles like some strange alien being. Quite a few of the lorry drivers are overweight. Of course, they are probably compelled to live on 'takeaway' meals and burgers. 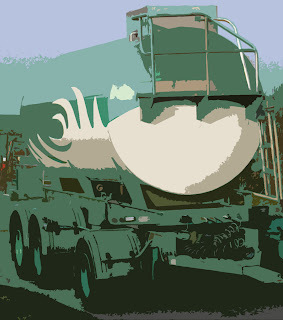 I can see the echo in the roundness of the tankers and I am sure this will permeate my work somewhere.